Water soluble! 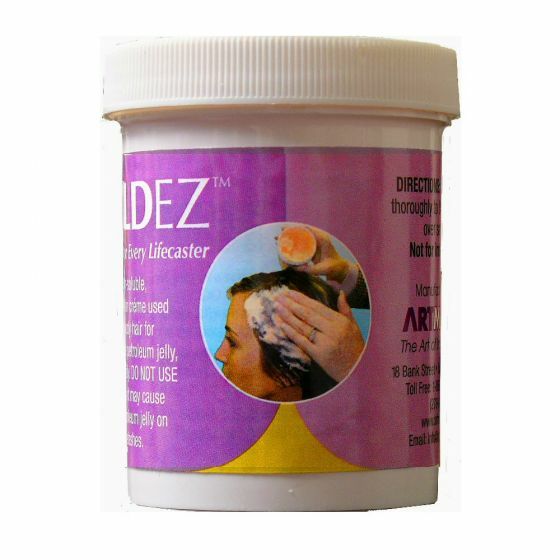 This gem of a product is a "must have" for every lifecaster Avoid the hassle of tangled hair and win your model over with MoldEZ. This gem of a product is a 'must have' for every lifecaster. Avoid the hassle of tangled hair and win your model over with MoldEZ. Use this water-based release cream instead of petroleum jelly on the skin and all body hair. Washes out the first time unlike petroleum-based jellies. Work a generous amount into the hair and then comb. You can cast an entire head of hair. Also great to fill pin holes in your MoldGel and alginate molds prior to casting. Another handy idea - use it to hold your MoldGel or alginate mold to the mother mold around the edges. Hypoallergenic, all natural ingredients. Smells great, too.